Kelowna North homes for sale encompass many of the city's most desirable real estate options. This heritage quarter of the city was one of the first neighborhoods to be developed and comprised all of Kelowna during its early days. As a result, real estate in this lively and prosperous area spans decades and comes in varied architectural forms. Kelowna North includes part of the city's downtown core, making it one of the most sought-after places to invest in the Okanagan. This burgeoning center is home to a rich cultural scene, beautiful natural landscapes, and world-class career opportunities. Original properties as well as a wave of new development homes can be found here, so buyers can exercise plenty of discretion when searching for and selecting their dream home. Explore all downtown Kelowna homes for sale in the listings below. To learn more about north Kelowna real estate and amenities, continue reading about this fantastic community! Register with Vantage West Realty to make the most of your online property search. Gain access to the latest industry tools and save your search criteria so you can pick up where you left off! Not quite convinced? Try it out — if you're not finding what you need, you can unsubscribe at any time. A variety of striking properties can be found across the downtown Kelowna real estate market. The amenity-rich location and cosmopolitan atmosphere make this a perfect locale for attached living. Those in the market for one of these condos can choose from a rich selection of waterfront suites and high-rise flats with panoramic lake views. Other condominium options can be found in more established high and mid-rise complexes as well as a layer of recently constructed modern developments. These new buildings offer trendy, contemporary living spaces, often in turnkey condition. Sleek, stylish, and airy, they provide a state-of-the-art urban living experience that showcases the emergence of Kelowna as a business and lifestyle hub. Some Kelowna North properties provide loft-style living within boutique condos. These generally feature high ceilings, gallery lighting, and top-of-the-line finishes. Though they are elegantly appointed and well-located, a large percentage of the condominiums under the $500,000 mark are close to or less than 1,000 square feet in size. Compact and high-quality, they provide convenient and fashionable living options for busy professionals and young career types. In addition, these condos make the most of their limited square footage with efficient, small-scale living initiatives, open-concept layouts, volume ceilings, and large windows. These fixtures create the illusion of spaciousness and allow for maximum utilization of the available area. Higher up on the North Kelowna real estate market, established single-family properties become available, in addition to more luxurious condos. These detached homes are remnants of the area's original development and often come in lovely cottage, Craftsman, and bungalow styles. Many feature nice lawns with mature landscaping and charming heritage exteriors. Fresh interior remodeling is not uncommon among these cozy character homes. Kelowna North's plushest residences consist of a mixture of swanky penthouses and high-end contemporary estates. The luxury condos and penthouses in the region are typically found within executive buildings with fantastic amenities such as swimming pools, courtyards, patios, or exclusive waterfront access. Interiors follow the latest design trends and feature all the trimmings of a full-sized home. The single-family estates in the community are generally expansive custom properties, often located right on the lakeshores with private boat docks and waterside terraces. These multi-million dollar dwellings are a recreationalist's paradise and an architect's dream home. Kelowna North luxury homes stand out for their signature indoor and outdoor living spaces which take advantage of the warm, dry summers and clear lake and hill views. Kelowna North is home to many of the city's biggest attractions, including Knox Mountain Park and Waterfront Park. Knox Mountian contains vast green space also happens to be Kelowna's biggest natural area park and features gorgeous trails and plenty of local wildlife, all in a peaceful and pristine setting. Much of this area directly edges the shores of Okanagan Lake, along which you can find beaches, walking trails, and beautiful city parks to spend your leisure time in. Waterfront dining and world-class entertainment are also guaranteed. In Kelowna North, convenience is a staple; you'll find banks, grocery stores, and upscale shopping so that you can run all errands with ease. 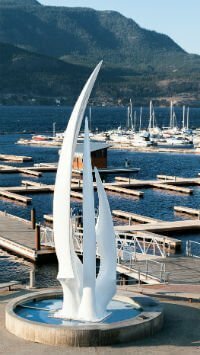 Cultural attractions such as the Kelowna Community Theatre and Prospera Place are located in this vibrant part of town, as is the downtown marina — a central part of the waterfront lifestyle here. This fresh and vibrant district perfectly exemplifies the best of the old and new Kelowna and it's a great way to immerse yourself in all of the city's blossoming opportunities. 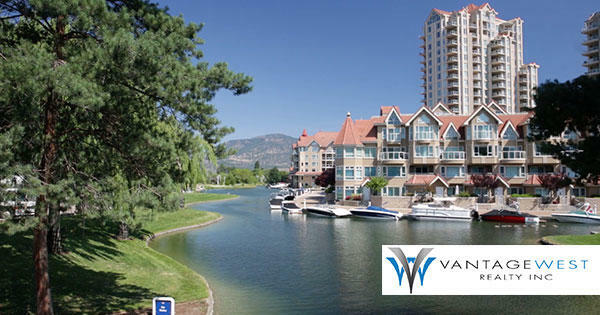 Get in touch with your local Kelowna North real estate experts at Vantage West Realty today! We want to connect you with the Kelowna house or condo that can help you meet all your lifestyle and career goals. If you're ready to chat about buying or selling in this exciting Okanagan city, give us a call at 1-250-717-3133. We look forward to speaking with you!